A former fairground engine has been returned to steam by enthusiasts Brian and Karl Burden. The ‘Princess Mary’ was built in 1923 by Charles Burrell of Thetford, Norfolk, to drive old fashioned fairground rides with a dynamo fitted on the front of the boiler from the flywheel. The 20-ton engine would then pull the rides from town to town. During the Second World War she was used to bring down damaged buildings and ruins after the Blitz. Karl said: “The engine was built in 1923 and originally built to be a ‘Scenic’ engine but the second dynamo never got fitted. After entering preservation, ‘Princess Mary’ was once owned by the major London attraction, Madame Tussauds. Then by Commander Baldock who owned Hollycombe House and Steam Collection near Liphook, Hampshire, with its own vintage steam fairground and working museum. 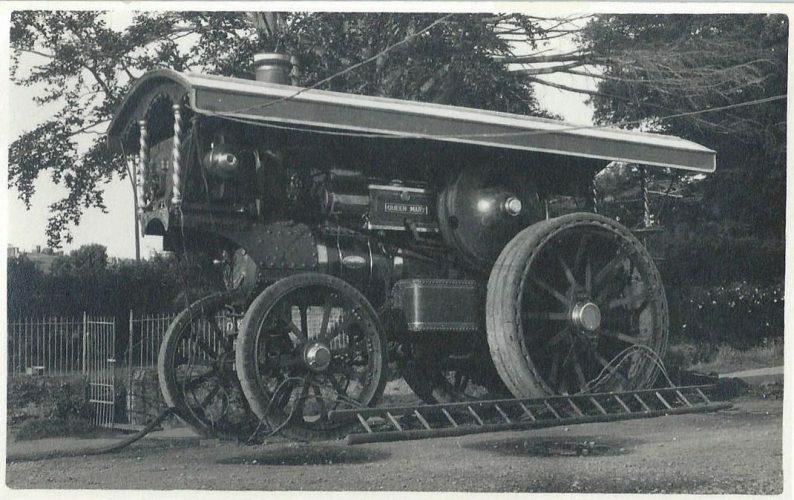 In the 1990s, the engine went to a collector from Wareham and was often found at outdoor events and agricultural shows driving up to three fairground rides at once. 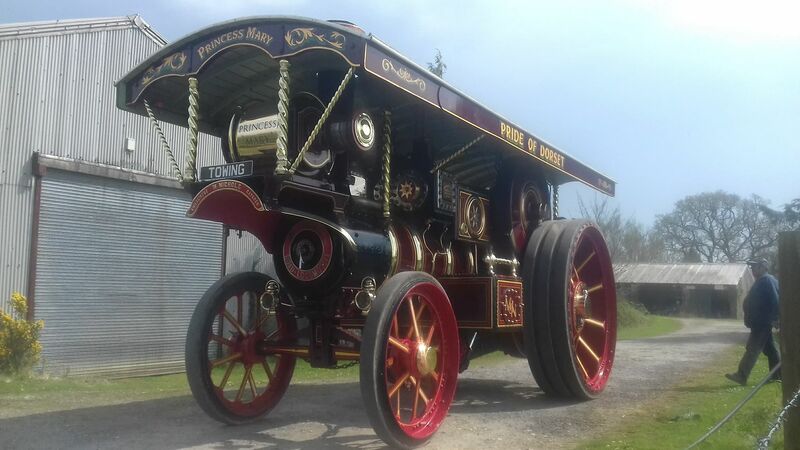 Now she has returned to the road, ‘Princess Mary’ will be seen at shows in Dorset, Somerset, Cornwall and Gloucestershire in 2018. There are no known archive pictures of ‘Princess Mary’ in her working days, but the picture below shows a similar Burrell fairground engine, ‘Island Queen’, that was owned by showmen, Arnold Brothers of Southampton. 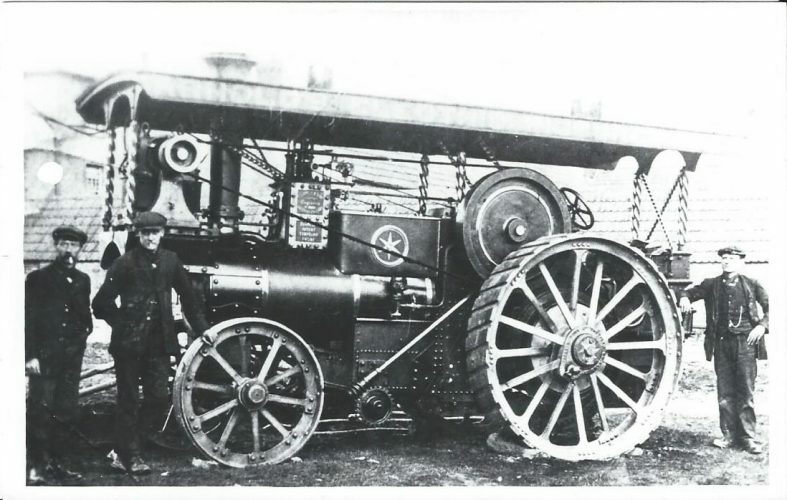 Below is a fairground engine built by John Fowler of Leeds. ‘Queen Mary’ is seen in Blandford in 1944 when owned by showman, Richard Townsend of Weymouth. She is now owned by an enthusiast near Wimborne.